All payments for fees must be made and paid for in advance via school money. If you have two children you will tick session 1 and 2. You will need do this for all the times required. Please check you are entering the right times required. 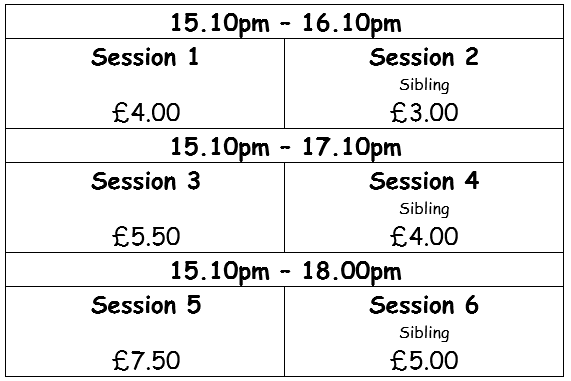 If you are paying by voucher, please book required sessions and Administrations will credit the amount. If your child does not attend Leigham Primary School please contact us on: 07743702926 who will ask for: child's name, parent's name, mobile number and email address. They will then set you up on the system. Children are picked up from their classrooms by a member of staff. Children have a choice of snack, including a selection of fruit, breadsticks, crackers etc, and milk or water is provided. Activities: Computer/play station games, snooker, various floor games, arts and crafts, cooking, food tasting, planting and lots more.